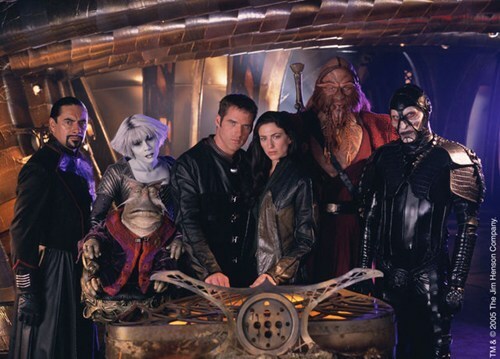 The CW Sets Its Sights on ‘Cult’ from ‘Farscape’ Producer, Which the WB Rejected Years Ago!!! ‘Farscape’ fans can rejoice. Almost seven years ago, ‘Farscape’ executive producer, Rockne S. O’Bannon came up with a cool thriller series called ‘Cult’. Fans were overjoyed back then about the show, so the WB bought it and was going to make it into a pilot. They even cast Matthew Bomer (White Collar/Chuck) to star in the series. Then if you remember, the WB went away along with UPN and the studios came up with the CW which is what it all is now. So after the change, ‘Cult’ was one of the series that got axed and was to never come to be. Now it’s 2012, and with the recent departure of exec Dawn Ostroff (who made the decision to cut ‘Cult’), a new exec by the name of Mark Pedowitz who was the replacement made his first pilot order for CW. Yes. It is for ‘Cult’. At one point during the last seven years, Ostroff asked O’Bannon to change up the script a bit, but she thought it was too dark. Then at one point ABC was interested in the series, but again, it wan’t meant to be. Bryan Reviews ‘Everwood’ Complete 4th Season!!! Wonder Woman TV Show Cancelled!! This entry was posted on Thursday, January 5th, 2012 at 4:18 pm	and is filed under News. You can follow any responses to this entry through the RSS 2.0 feed. You can skip to the end and leave a response. Pinging is currently not allowed. « ‘Horrible Bosses 2’ Likely Happening With Original Cast and Crew!! !